What is Dry Scalp & what causes it? Psoriasis is a common skin condition, affecting approximately 2% of people in The UK. It usually develops in patches and presents as red, flaky areas of skin, which are covered with silvery scales. Psoriasis can develop at any age, however, it most often occurs in adults under the age of 35. One area of the body that is commonly affected by psoriasis is the scalp. Scalp psoriasis is generally a chronic condition that involves periods of little to no symptoms, followed by periods where symptoms flare up. The severity of scalp psoriasis will vary from person to person, with some sufferers experiencing only minor irritation. However, for others, the condition can be more severe, which can have a major impact on their quality of life. Psoriasis is caused by the body producing excess amounts of skin cells. These cells are normally renewed every 3-4 weeks, but in psoriasis, this process happens significantly quicker (3-7 days). This build-up of skin cells results in the red, crusty patches associated with psoriasis. Why this process is expedited isn’t fully understood, though it is believed to be related to a problem with the immune system. For sufferers of psoriasis, the immune system is thought to mistakenly attack healthy skin cells, causing the faster than normal turnaround in cell renewal. Psoriasis isn’t contagious, which means it cannot be spread from person to person. The condition can be hereditary, though the exact role genetics play in psoriasis is still unclear. Psoriasis symptoms can be exacerbated by certain triggers, such as skin trauma, throat infections and certain medicines. Eczema is a condition that causes inflammation of the skin. For most sufferers it is a chronic condition, however, for some, it can improve over time. Eczema can affect any part of the body, though a commonly affected area is the scalp. Sufferers of scalp eczema will usually experience periods where symptoms are mild to non-existent, followed by periods where symptoms flare-up. Specifically, scalp eczema will cause the scalp to feel itchy and inflamed, as well as causing dry skin to form. The most common form of scalp eczema is Seborrheic Dermatitis, which has the associated symptom of dandruff. Irritants, such as soaps and detergents. Environmental factors, such as cold or dry weather. Allergens, such as dust mites, pet fur, pollen and moulds. Food allergies, such as nuts, dairy or wheat. Certain fabrics, such as wool or synthetic materials. Hormonal changes, such a woman’s monthly period. Other skin conditions, such as psoriasis, rosacea or acne. Scalp eczema could also be caused by an overproduction of sebum, which is an oily substance secreted by the sebaceous glands in the scalp. This overproduction can encourage a natural skin fungus, called Malassezia to multiply. This overgrowth can cause the scalp to become irritated, which can lead to eczema of the scalp. Dandruff is a common skin condition that affects the scalp. The condition causes dry white/grey flakes of dead skin to appear on the scalp and in the hair. The condition occurs because the body’s process of skin cell renewal is accelerated. This acceleration causes excessive amounts of dead skin cells to accumulate, which causes dandruff. Washing hair either too frequently or not frequently enough. Dandruff is a common condition, which often occurs after puberty and usually, continues until middle age. It has been reported that the condition is more common in men than women. Dandruff is believed to affect all ethnic groups equally. * Psoriasis itself doesn’t cause hair loss. However, the associated harsh treatments, scratching and picking can, unfortunately, result in a temporary loss of hair. Causing a change in skin colour after healing. Causing a discharge from the ear, should the condition have spread from the scalp into the ear canal. Other skin/scalp conditions may produce symptoms similar to scalp eczema. These conditions include; psoriasis, allergic contact dermatitis and atopic eczema. Dandruff will present as white/grey flakes of dead skin, appearing in the scalp and (or) hair. These flakes are often noticed if they fall from the scalp onto the shoulders. Associated symptoms of dandruff also include a dry, itchy scalp. The magnitude of these symptoms can range from mild to severe. How is Dry Scalp diagnosed? If presenting with any of the symptoms of psoriasis or eczema of the scalp, it is recommended to visit your GP or dermatologist. Usually, a visual inspection of the affected area is enough for a diagnosis. However, in some cases, a sample of the affected skin (usually a couple of loose flakes), may be taken for analysis. This will usually be to help identify the cause, which will aid in choosing the appropriate treatment. Betnovate Scalp Application and Betacap Scalp Application. Applying heavy creams or ointments that lock in water. Use lukewarm water when bathing to help the scalp retain its moisture. Avoid hair care products that contain alcohol or fragrance. Omega-3 has been linked to a reduction of inflammation, so a balanced diet that includes Omega-3 can help decrease the associated inflammation. Ensure you use your treatments as directed. Keeping the scalp moisturised is an important factor when managing scalp psoriasis. Ensuring the skin is lubricated will help prevent or reduce the dry, itchy skin experienced during a flare-up. Treatments for eczema of the scalp can vary depending on the severity of the condition. Different people respond differently to medication, which means it may take a few attempts to find the right solution. In many cases, over-the-counter treatments for dandruff can be enough to improve flaking and soothe the itching. However, should these treatments prove ineffective, stronger prescription treatments are also available. These are usually in the form of a topical corticosteroid application, such as Betnovate Scalp or . For babies it is recommended to use mild baby shampoo, massaging it into the scalp using a very soft brush. It is important to be very gentle when using this technique, as breaking the skin can lead to infection. If this proves ineffective, or you have concerns about your baby’s scalp, it is advised to consult with your GP or dermatologist. Washing your hair daily, using a mild shampoo. Shampoos that contain tea tree oil are known to be particularly effective. Avoid scratching the scalp when applying shampoo. Instead, use a gentle massaging motion. Try not to use hair products, such as sprays or gels until after dandruff has cleared. 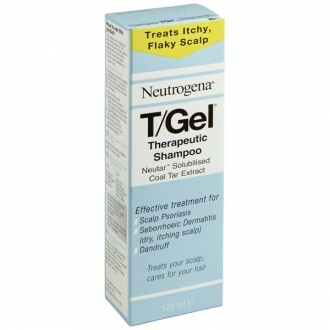 Zinc pyrithione – which works by killing the fungus that is thought to be partially responsible for causing dandruff. Selenium sulphide – which works to slow down the production of skin cells whilst also killing the fungi. Ketoconazole – which has a powerful antifungal action. Salicylic acid – works to soften and shed the dead skin cells on the scalp. Coal tar – like Selenium, coal tar helps to slow down the production of skin cells. 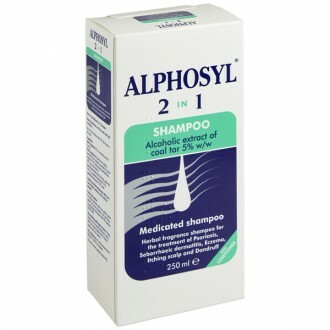 The most popular coal tar shampoo is Alphosyl 2 in 1. 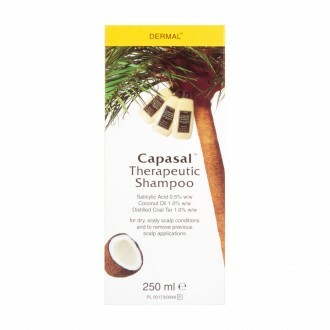 Coal tar is combined with Salicylic acid and coconut oil in the popular treatment, Capasal Therapeutic Shampoo. 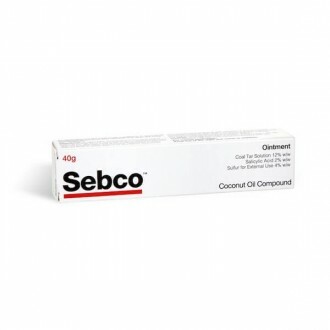 Combination treatments: Cocois ointment contains coal tar, salicylic acid and sulfur for added effects. Not every dandruff shampoo is suitable for everyone. For example, people with blonde or chemically treated hair should avoid using Selenium, as it can discolour the hair. Pregnancy and breastfeeding may also be a factor when choosing an anti-dandruff treatment, as certain types are not recommended as a precaution. If in doubt, speak to your pharmacist or GP for advice. How can I prevent Dry Scalp? Avoid cold, dry weather – the climate can have a significant effect on psoriasis and eczema. For many, the cold, dry weather can exacerbate their symptoms. Warmer weather tends to make it better, though this is not always the case. Use a humidifier – using a humidifier when the weather is dry will help keep the skin moist. Avoid using medicines that are known to cause flare-ups – certain medications can cause psoriasis symptoms to worsen. These medicines include; Lithium, Propranolol and Quinidine. Avoid trauma to the scalp – cuts, scrapes and bumps to the scalp can trigger a flare-up, potentially leading to an infection. Get the right amount of sun – the ultraviolet rays in sunlight will slow down skin cell growth, so moderate sun exposure can be beneficial. Keep your exposure brief (about 20 minutes at a time), as sunburn will exacerbate dry scalp conditions. Avoid stress – although still unproven, many dry scalp sufferers link flare-ups with feelings of stress or anxiety. Use a mild shampoo every day – regular shampooing will help avoid a build-up of skin cells and hair products. If this isn’t enough to control the symptoms, try switching to an over-the-counter dandruff shampoo. It is important not to shampoo too oft en as this can make dry scalp conditions worse. It is recommended not to wash your hair more often than once a day. Limit the number of haircare products you use – exposure to excessive amounts of ingredients and chemicals can contribute to scalp irritation, which can cause more itching and flaking. Eat a healthy diet – there are some indications that B-vitamins and Zinc may help with dry scalp conditions, so a healthy diet rich in vitamins and minerals can help relieve symptoms. For eczema of the scalp, avoid any potential irritants and known triggers, such as high and low temperatures, excessive perspiration and allergens. Dry scalp is a condition that can cause dandruff, itching, redness, irritation, and scaly patches to occur on the scalp. In more severe cases, blistering and weeping lesions can also present. Dry scalp conditions can also leave your hair appearing dry and dull. The severity of these symptoms will vary from person to person, with some sufferers experiencing mild intermittent bouts, while others experience more sustained, chronic episodes. Can dry Dry Scalp lead to hair loss? Dry scalp conditions themselves rarely cause hair loss. However, the associated scratching and picking at the scalp, due to itching and irritation, can cause hair to break and fall out. In most cases, this form of hair loss tends to only be temporary. Will colouring my hair lead to a Dry Scalp? It doesn’t matter whether your hair is coloured at home, or by a professional in a salon. The chemicals used to dye hair can potentially irritate the scalp, causing it to become dry and itchy. This is because the chemicals found in hair dyes are designed to penetrate the root of the hair, which is found under the skin. This, coupled with additional styling products, can block the pores on the scalp, which will prevent the scalp’s natural moisturiser (sebum) from being excreted. Is Dry Scalp anything to worry about? In most cases, dry scalp conditions are harmless and only causes mild to moderate irritation. What treatments are avaliable for Dry Scalp? 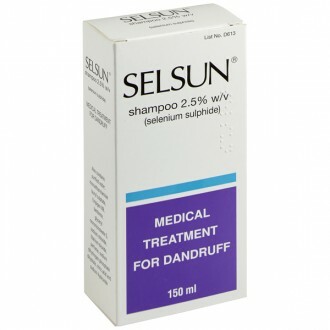 There are many different treatments available for dry scalp conditions. The most appropriate for you will depend on both the cause and the severity of your symptoms. Conditioning treatments – if the scalp isn’t producing enough natural oil (sebum), then using a deep conditioning treatment will help replenish the scalp’s moisture level. Deep conditioning treatments and hot oil conditioning treatments are readily available in most supermarkets and pharmacies. Dandruff shampoos – if your dry scalp is only presenting with a spot of dandruff, then this can be effectively managed using an over-the-counter medicated shampoo. Anti-dandruff shampoos containing Ketoconazole, Coal Tar, Selenium Oxide, or Zinc Pyrithione can help alleviate dry, flaky skin on the scalp. 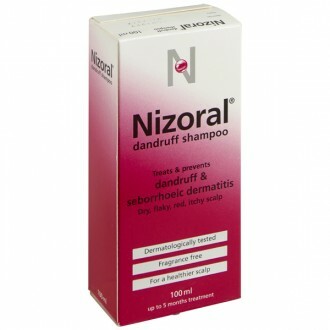 Examples of anti-dandruff shampoos include; Nizoral, Selsun, T-Gel. Corticosteroid treatments - Corticosteroids are a group of medicines used to reduce inflammation. Scalp treatments containing corticosteroids will be effective at treating dry scalp conditions caused by eczema or psoriasis. Examples of scalp treatments containing topical corticosteroids include; Betnovate Scalp Application and Betacap Scalp Application (both contain the corticosteroid Betamethasone). What is the difference between Eczema and Psoriasis of the scalp? Scalp psoriasis and eczema of the scalp are two conditions that affect the same area and share similar symptoms. Eczema of the scalp causes inflammation of the skin. Typically, the condition will cause the scalp to feel itchy and sore, which will lead to dry skin developing on the scalp. In more severe cases, eczema of the scalp can cause blistering and weeping lesions to form. For a lot of sufferers, the condition will usually go through periods of being mild to non-existent, which will be followed by periods where the symptoms will flare-up. Psoriasis of the scalp usually develops in patches. It presents as red, flaky areas of skin that are covered with grey/silvery scales. The severity of these symptoms will vary from person to person. For some, the condition will only cause mild and infrequent irritation. For others, scalp psoriasis can be far more frequent and severe. Scalp psoriasis is caused by the body producing too many skin cells. The normal rate of skin cell renewal is between 3-4 weeks. For a psoriasis sufferer, this process happens a lot quicker (3-7 days). This causes the build-up of skin cells that psoriasis sufferer’s experience. Is there anything I can do to help prevent Dry Scalp? If your dry scalp is the result of psoriasis or eczema, then sadly these conditions tend to be lifelong and cannot be prevented outright. However, there are a number of self -help techniques that can help manage flare-ups and reduce the severity of your symptoms. If your dry scalp is being caused by environmental or product based factors, these same techniques can help prevent dry scalp from developing in the first place. If these techniques fail to relieve symptoms or prevent recurrent flare-ups, then it would be advised to schedule an appointment with your doctor or dermatologist.